Join us every Wednesday for a jam session hosted by the award-winning Robbie Laws! Bring your instrument, bring your voice, just bring yourself down for this fun-filled jam session. Robbie Laws is one of the most decorated and in demand blues guitarists in the Pacific Northwest. 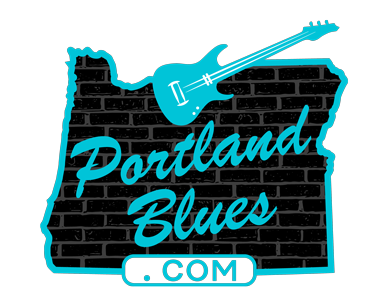 He has been honored with 21 Portland Cascade Blues Association Muddy Awards, nine of which were for ‘Best Electric Guitarist", the ‘Best Blues Act ' award from the Seattle based Washington Blues Society and the 'Outstanding Achievement in Blues' award from the Portland Music Association . In September 2015, Robbie joined an esteemed roster of artists as a TrueFire Educator and recently launched his newest online guitar course '30 Penta Sonic Blues Licks You Must Know'. Having played with guitar legends from Albert Collins to Ronnie Earl, Robbie is an internationally recognized Blues Guitar Master who has thrilled festival and concert audiences for over 15 years with his sheer technical prowess on the guitar, his soulful voice, impressive stage presence and likeable personality. Laws possesses the inherent ability to authentically convey styles such as nineteen forties, jump swing, traditional country blues, Piedmont, Delta, early Texas and Chicago, yet is comfortable playing uptown jazz as well as progressive rock. Laws recently toured the lower Baja region of Mexico for the highly acclaimed 'Rockin' Blues Extravanganza' and the 'Cabo Blues Guitar Boot Camp'. The Gringo Gazette touted this performance tour as " the best ever musical performance of a band in Los Cabos in the past 20 years". Robbie has shared the stage with a long list of great legends and has performed at many notable blues festivals as well as being a regular favorite at arguably the best and second largest blues festival in the United States, the Portland Waterfront Blues Festival. Throughout his career, Laws has released six recordings with rave reviews and notable airplay up and down the West Coast, including Alaska and Canada. All of his previous recordings have been awarded "Best Recording of the Year" in the Pacific Northwest. Robbie's latest recording 'Between the Lines' was released in December 2013 and he is currently in the studio working on his next album. Laws is also co-owner of 'Robbie Laws School of Guitar PDX' with his wife Jerri. This is a music company that offers the guitar player several options on their personal journey of learning how to play the guitar along with an optional performance component if the student so desires. This company offers online, private and group guitar lessons as well as workshops held live on the web, locally, regionally and at festivals around the world. His mission is to keep the blues alive and available for generations to come. "Each generation leaves a fingerprint on the music" says Laws. "It's about keeping the music fresh and viable for the next one".